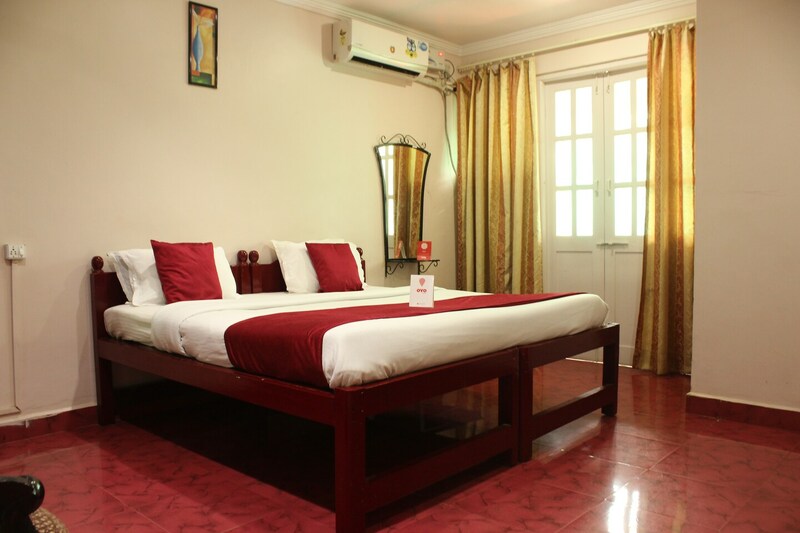 This property is located near the famous Baga beach. It is surrounded by places of interest like Arpora market, Calangute beach, Blue Whale Water Park and Cross at the Holy Trinity Church. With snug bedrooms that settle you in cushy beds and very cosy ambience this would turn out to be a suitable option to spend your vacation at. The staff here is very well trained and friendly. Amenities offered by this hotel include AC, TV, free Wi-Fi, CCTV security, card payment option and access to a dining area. Famous eating joints near this place include Cape Town and Mambos. Both of these are at a walking distance from the hotel. Some other good options nearby are Patio 23, Redonda Restaurant and Cafe Sussegoda Souza.